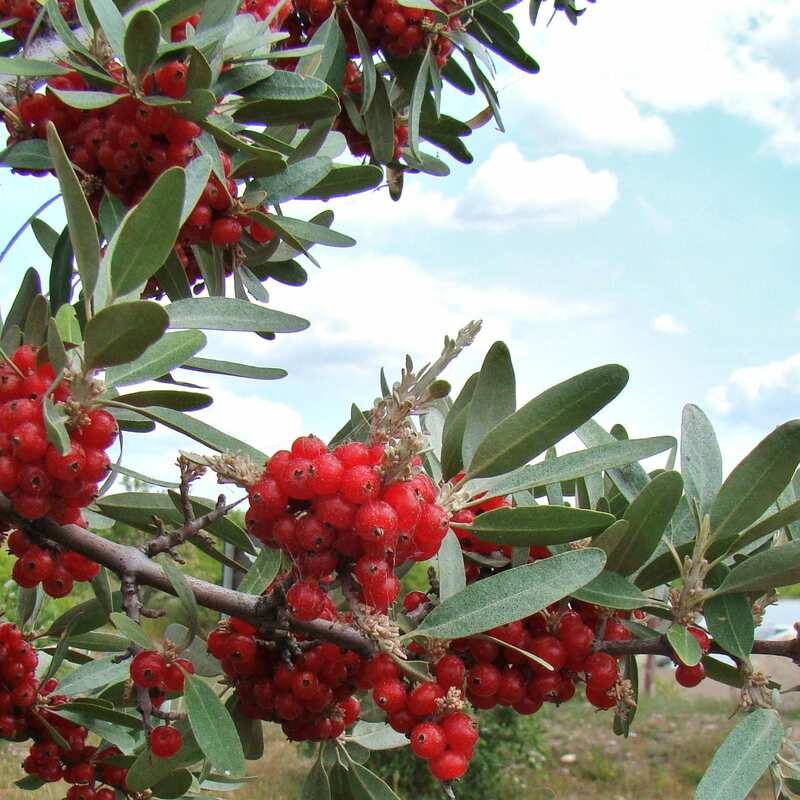 Buffaloberry (Shepherdia argentea) is a thorny deciduous shrub. Silver buffaloberry has silvery leaves, white stems, and as it gets older, red berries in a wall of thorns. It likes full sun, moderate water, tolerant of cold, wind, alkaline soil, and standing water. It has edible berries that the birds will get. It is a medium to tall shrub for conservation windbreaks and wildlife. If planted in a seasonally flooded spot in a thicket it is an ideal wildlife plant, and a significant nitrogen source for the habitat.